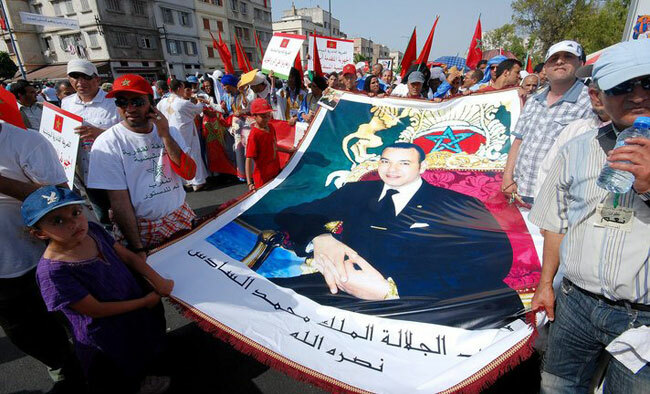 Morocco's King Mohammed scored a landslide victory in Friday's referendum on a new constitution he proposed to placate "Arab Spring" protests as voters defied critics who said it did little to curb his powers. Taib Cherkaoui, the interior minister, announced shortly after the voting closed on Friday that the poll showed 98 per cent in favour of the changes, with 94 per cent of stations reporting. With a turnout put at nearly 73 percent, the result will be seen as a vote of confidence in the leader of the Arab world's longest-serving dynasty. It will be closely scrutinised by Gulf Arab monarchies who have so far dodged domestic reform calls. "We knew right from the start that the referendum will be in favour of the reform, but not necessarily for good reasons," said Ouidad Melhaf, an activist within the so-called "February 20" street protest movement. "Widespread poverty, illiteracy and fear of the state played a key role in the vote's outcome," she said, saying that the movement would relaunch its regular protests on Sunday. The new constitution preserves a range of privileges for the monarch, such as his right to dissolve parliament -- although not unilaterally as is the case now. 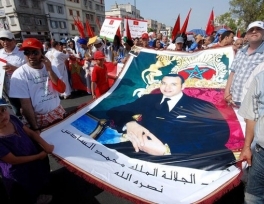 It falls far short of the demands of the protest movement, a mix of Islamists and secular left-wingers who want a parliamentary monarchy where the king's powers would be kept in check by elected lawmakers. "I voted 'yes' because we have to obey the Commander of the Faithful," retired agriculture ministry engineer Samira Denguir said in the middle-class Hassan suburb of the capital Rabat, referring to the king's religious role. "I'm not voting because I couldn't get my voter card and to be totally honest I couldn't care less. If they really mean good they would have done it years ago," said market trader Younes Driouki, 29, heading to the beach with his surfboard. The 47-year-old king has had some success in repairing the legacy of human right abuses, high illiteracy and poverty he inherited after his late father's 38-year rule ended in 1999. Yet critics say there remains a wide disparity between rich and poor, and complain of human rights and rule of law failings. On June 17, Mohammed, who took over the world's longest-serving dynasty in 1999, conceded some of his political powers to the prime minister and the parliament while keeping his role as a power broker. "We have managed to develop a new democratic constitutional charter," he said in a televised speech, adding that the constitution "enshrines a citizenship-based monarchy". But critics say the changes do not go far enough and a low turnout could still spur demands for bolder changes. The country's February 20 Movement has continued to hold protests, organised through websites such as Facebook and YouTube, since the reforms were announced and maintains they do not go far enough.